We are able to rapidly transform new ideas into the most advanced products and solutions,by buildings on a strong mutual respect and feeling of solidarity between our workforce and management. We place great value on the professional development of our workforce, supporting in-house and external training, as well as on-the-job training, which is a critical instrument of our personnel development program. “The company’s resources and expertise are focused on improving the performance of our product solutions and services, to exceed our customer’s expectations.” Filippo Marbach, CEO. 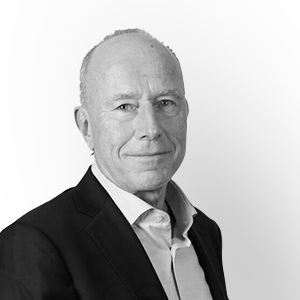 Founder, CEO, Chairman of the Board Filippo began his career in the Research and Development team at Invertomatic SA in 1984 In 1993 he co-founded Newave SA, the Swiss UPS manufacturer, where he held the roles of Chief Technology Officer and Chief Operating Officer as well as board member of the holding company. In 1996 Filippo and his team designed the world’s first three-phase transformerless UPS. In 2000 this was followed by designing the world’s first three phase true modular UPS. He subsequently led the team that designed the world market’s second and third generation of three phase modular UPS technology. In 2007, Newave became listed on the Swiss stock exchange and Filippo continued to hold the position of Chief Operating Officer and a member of the board of directors. In February 2012 Newave was acquired by ABB and Filippo later left the company once it was successfully integrated into ABB. In 2015 Filippo co-founded Centiel SA. In this role he continued to pioneer UPS technology by designing the world market’s fourth generation of three phase modular UPS and a completely new range of three phase transformerless UPS that lead the global market in terms of both availability and operating efficiency. Co-Founder, Sales Director, Board Member. Gerardo Lecuona studied electronics engineer at the university of Guadalajara, Mex, he holds a Master of Science in embedded systems design from the Advanced Learning and Research Institute in Switzerland and a master’s in business administration (MBA) from Milan Polytechnic. In 2008 Gerardo joined Newave SA, the Swiss UPS manufacturer as an R&D engineer and started developing modular uninterruptible power supplies. Taking later in 2010 the role of project manager, Gerardo participated in the design of the third generation of three phase modular UPS technology and a range of transformer less uninterruptible power supply. 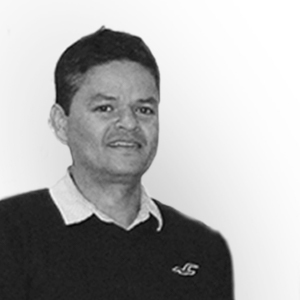 In 2012 Gerardo was appointed to lead the Research and Development organization in Newave SA. In February 2012 Newave was acquired by ABB and in 2013 Gerardo was appointed to lead the Technology division as Technology director for UPS and successfully managed the integrated into ABB. In 2015 Gerardo co-founded Centiel. In his role of Global Sales, Gerardo is bringing Centiel’s leading technology to the market and building Centiel brand as the most innovative UPS manufacturer. 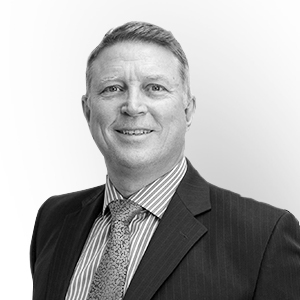 Board member of Centiel SA and Chairman of Centiel Ltd., Centiel SA’s UK subsidiary. David began his career in the UPS industry in 1988 when joining Fiskars UK (now part of Eaton) as Technical Services Manager, responsible for all post sales activities including Field Service, Project Management and Service Sales. In 1996 he was a co-founder director of Uninterruptible Power Supplies Ltd. (UPSL) and in 2005 he led a management buy-out to then become the company’s Managing Director. In late 2008 UPSL was sold to the US company, Kohler, and David spent until mid-2010 helping to integrate UPSL into Kohler. After leaving UPSL David joined the Swiss UPS manufacturer, Newave, as its CEO. In 2012 Newave was acquired by ABB and David played key roles in both the due diligence and integration stages of the acquisition. After leaving Newave/ABB, David took positions as the UK MD of Emerson Network Power (now Vertiv) and the UK MD of Benning Power Electronics. Since retiring from executive management late 2017, David has become the non-executive Chairman of Centiel SA’s UK subsidiary, Centiel Ltd. and has been appointed to the Centiel SA board.